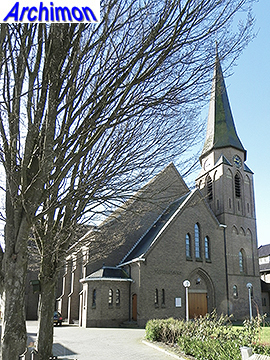 Until the Reformation Wolvega had had a catholic church dedicated to Maria Magdalene. 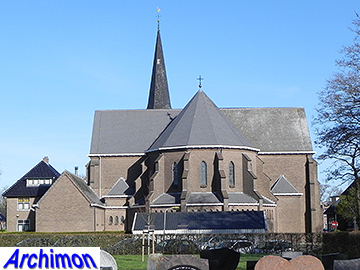 In 1580 the catholic faith was outlawed in Friesland. 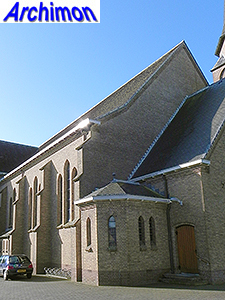 Despite active oppression by the protestant authorities and the loss of their church, a large catholic community persisted in Wolvega and the surrounding area. 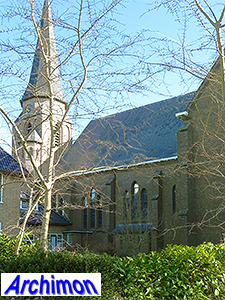 First a barn church in the village of Ter Idzard was used, until in 1745 a simple church was build in the forest of Oldeholtpade, serviced by Franciscan monks and therefore dedicated to St. Francis of Assisi. 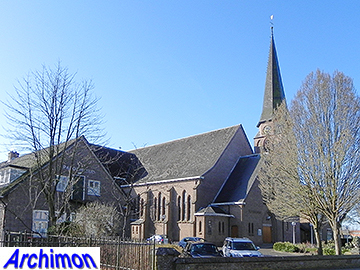 In 1855 the community of the now derelict church was elevated to a parish and plans were made to build a new church at a more central location in the parish, just east of Wolvega. 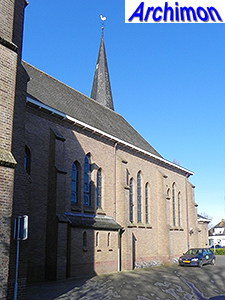 The new church was built in 1861. 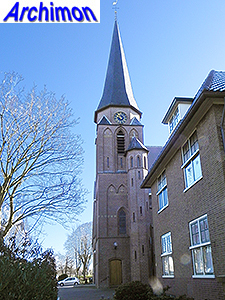 It was a church in neo-Gothic style, designed by H.J. Wennekers. 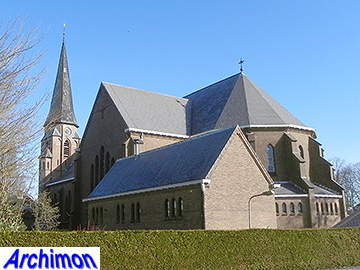 Within fifty years that church was in such a bad state it needed replacement. 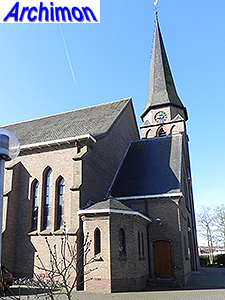 In 1913-1914 a new church was built, designed by W. te Riele in a much more modern neo-Gothic variant. 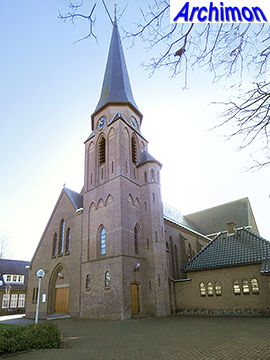 Unfortunately this attractive church soon became too small for the growing parish, and its centralizing composition made it next to impossible to extend due to the complex construction. Te Riele died in 1937, and instead J.Th.J. and P.J.J.M. 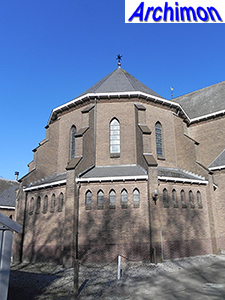 Cuypers were assigned the design of a new church. 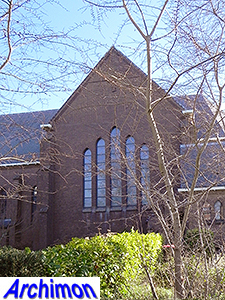 The same architects had previously designed an elderly people's home for the parish. The design is often attributed to P.J.J.M. Cuypers alone, but the plans bear the names of both father and son. It's a cruciform pseudo-basilica in a style related to neo-Gothic but with some elements of Expressionism. The tower of the predecessor was incorporated without further changes. There had been the intention to also preserve the facade, but eventually it too was replaced. 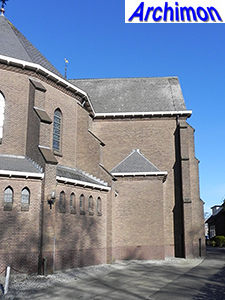 The current facade does share some attributes with Te Riele, like the asymmetric shape and the three windows above the portal, but is simpler in style. On the other side of the front part is a small baptistry. 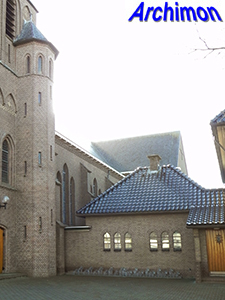 Behind the front part of the church is the nave which is wider and taller. Its side-aisles serve as corridors only, as common in this period. Each trave has a series of three windows on either side. 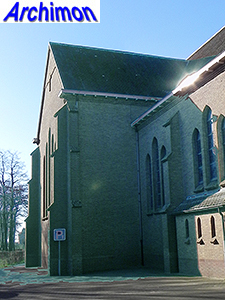 The transept is slightly lower than the nave and has five windows on each of its ends. The choir is quite wide and has an ambulatory. 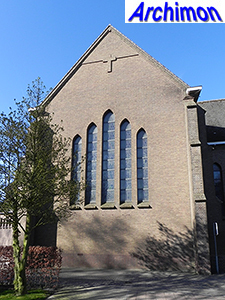 The stained-glass windows of the previous church were reused, which may have determined the size of the windows of the current building. 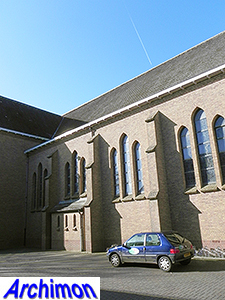 The St. Franciscus was probably the last church to be designed and build by any of the three generations of Cuypers architects.